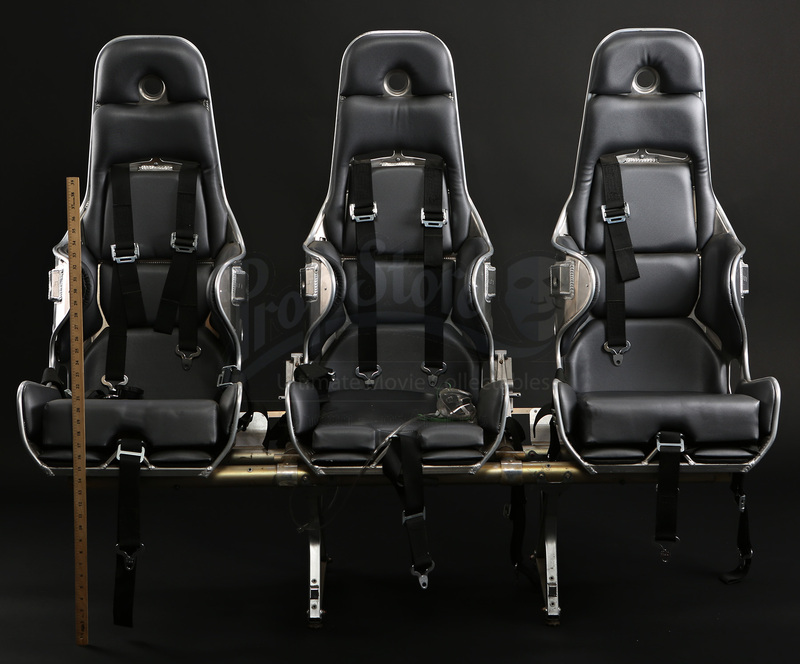 Command School Shuttle Seats from Gavin Hood’s 2012 sci-fi adaptation, Ender’s Game. In the film, Ender Wiggin (Asa Butterfield) is recruited to lead the International Fleet against the alien race known as Formics. These seats and others like it were used in the scenes that take place in the International Fleet shuttle. 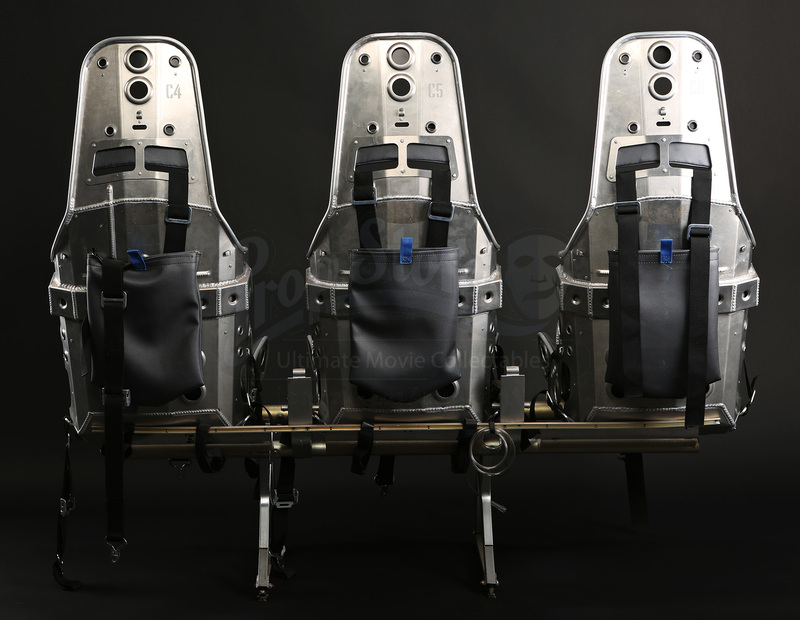 These seats were made in sections of three and placed in rows on set. 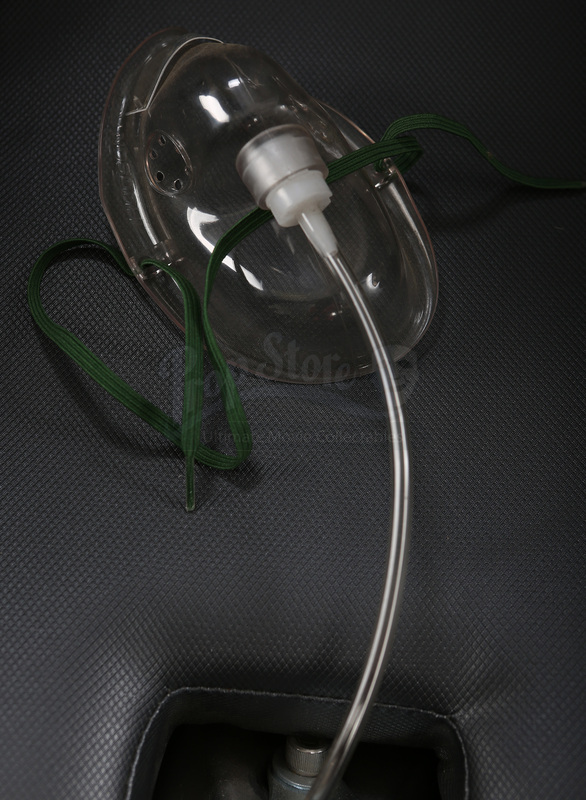 The seats are constructed of welded steel fixed to a metal base. 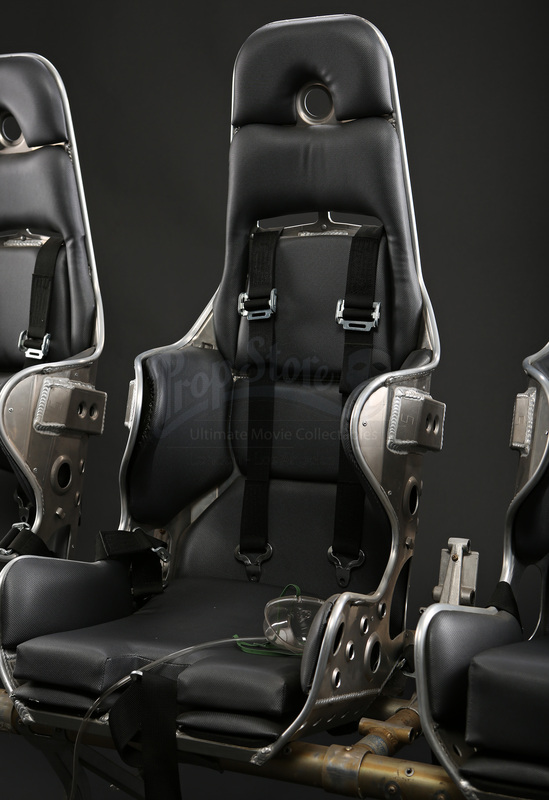 The seats themselves consist of several rolled steel panels welded together and are detailed with various indented holes. 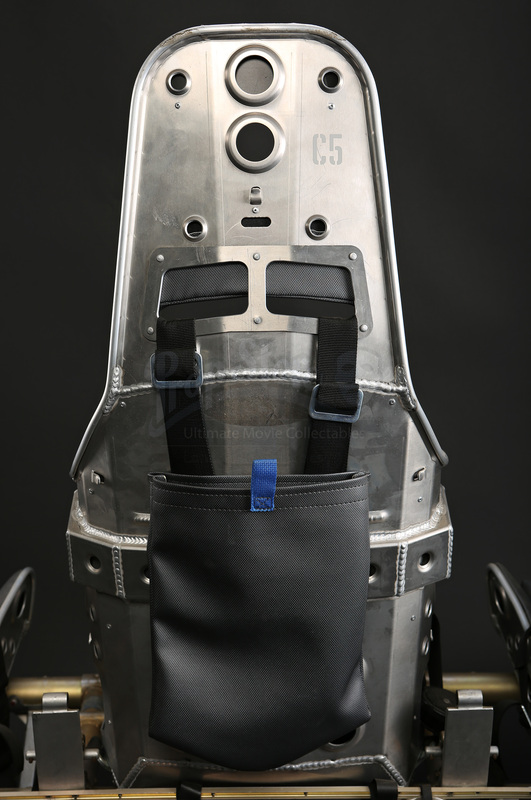 The seats are padded with ten modular padding pieces and feature five functioning nylon adjustable seat belts that buckle into a single black round buckle. 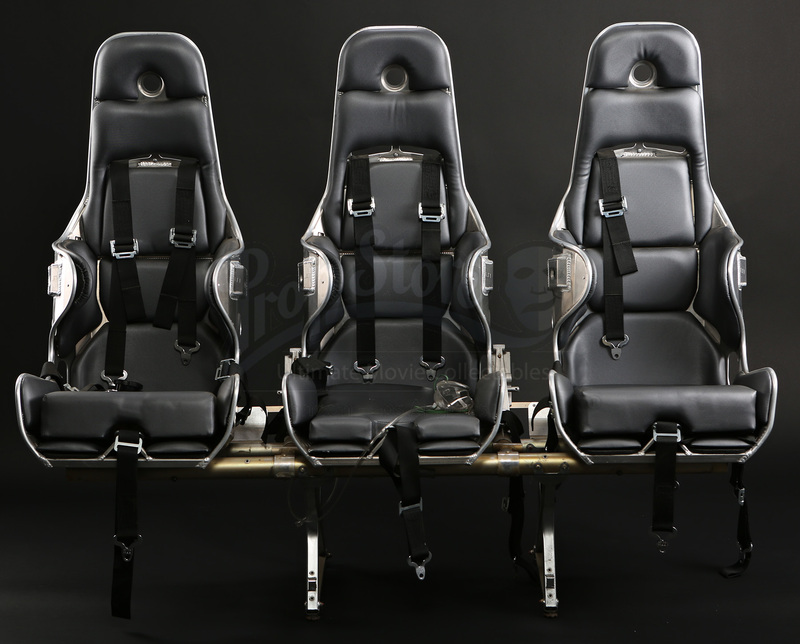 These seats show signs of use and remain in overall good condition.